Berlin at the tail end of 1946. Pavel Richter, a decommissioned GI, is holed up in freezing apartment in the British sector of the city, struggling with a kidney infection. His friend Boyd visits and asks him to look after a suitcase that contains the body of a dead dwarf. It seems that the dwarf has been selling secrets to the Soviets and is about to pass on a valuable piece of information. As well as being sought by a Soviet general, a scheming colonel in the British Armed Forces is hunting for him. Pavel is no condition to do anything other than lie in bed and try to stay alive. Aiding him in this task is Anders, a twelve year old street orphan, who enrols the help of his upstairs neighbour, Sonia. By coincidence Sonia is the colonel’s mistress and he regularly visits her apartment. As the hunt for the dwarf unfolds and Boyd is found dead, rather than hand the dwarf over to the colonel, Pavel and Sonia instead hide the body as they try to work out what game they are caught up in. All the while both the British and Soviets are closing in. 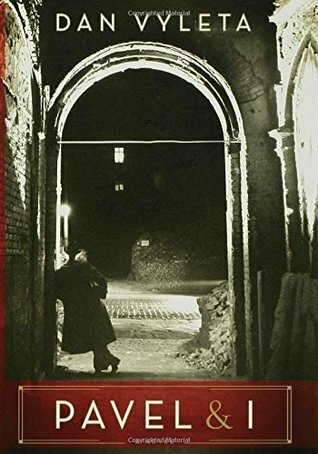 Set in the freezing ruins of post-war Berlin, Pavel and I has the feel and atmosphere of the film version of The Third Man. At the heart of the tale is Pavel, a former GI, Sonia who has survived post-war as a prostitute, Anders, an orphan who splits his time between Pavel and his street-gang who hustle and thieve to get by, and a rogue, over-weight British colonel. Hovering on the fringes is a Russian general. What brings them together is the dead body of a dwarf stuffed in a suitcase and the secret he holds. It’s an interesting hook and Vyleta uses it to spin an elliptical tale of spies, street gangs, prostitution, violent state services, survival, friendship and budding love. It’s very much a character-drive story, yet each character is not quite what they seem. That is very much the case with Pavel. Indeed, near the end of the tale, the narrator of the story, a British ex-soldier, remarks that there is a hole at the centre of the story he's telling – and that hole is the enigmatic Pavel. The narrator’s knowledge of him is based on events that happen over a few short weeks during which Pavel barely reveals anything about his past and acts in a calm and collected way. While that could have been quite frustrating, it actually draws the reader in. The result is an intriguing, atmospheric and ambivalent tale. On Friday I made a start on Mark Douglas-Home's The Malice of Waves to come to an abrupt halt at the bottom of page two. The next 33 pages were missing and they weren't elsewhere in the book. So on Saturday I headed to the bookshop to seek a replacement. 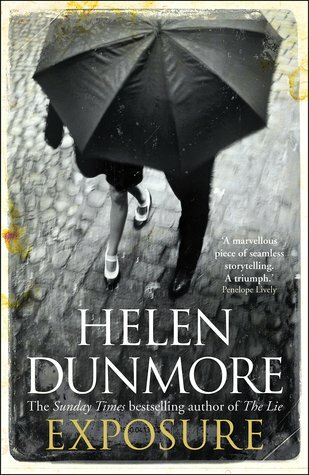 While I was there I also picked up copies of Helen Dunmore's Exposure and Graham Norton's Holding, both of which I'm looking forward to reading. He lifted Jimmy’s bloody head by the chin. Last month I visited Moscow and went to the Borodino Panorama, a massive 360 degree painting that depicts the 1812 battle between Napoleon’s Grande Armee and Czar Alexander’s Russia forces commanded by Marshal Kutuzov that took place to the west of the city. It was a massive encounter involving tens of thousands of soldiers and had the largest one day casualties prior to The Somme. Napoleon’s forces won the battle and shortly after entered Moscow, much of which had been burned. However, Alexander and Kutuzov did not capitulate and refused to negotiate with the Emperor of France, who at that time also ruled much of Europe. Shortly after occupying Moscow, Napoleon decided to undertake a tactical retreat, aware that he was critically low on supplies and the winter was approaching. However, he set out too late and his retreat was marred by freezing temperatures, snow and ice, for which his army was ill-equipped, and a lack of food, water and forage for the horses. Along with a series of battles and partisan attacks, the weather massively reduced his force, along with its accompanying civilian entourage. Few of the original force, which numbered over half-a-million, who entered Russia left. In total between the French and allied forces and the Russians circa one million people perished. For Napoleon the consequences were dire and within a few years he had lost his empire and was exiled and Alexander was entering Paris. In every way it was a costly campaign. Due to its significance of the Grande Armee’s adventure into Russia to European and Russian affairs, it has been written about many times. However, accounts tend to have a particular ideological slant and purpose and are usually based on a narrow set of sources. In 1812 Adam Zamoyski seeks to tell the story in a non-partisan way using a range of sources from multiple countries and drawing heavily on first hand testimony of letters and diaries written during the campaign, and accounts by key actors afterwards. The result is a dense and compelling story that balances historical and political contextualisation with accounts of key battles and events told in harrowing detail. And it is a harrowing story, involving tens of thousands of deaths in battle, or as prisoners, or from hunger, or freezing temperatures. Often hundreds or thousands die in a few hours, even in non-combat situations. And the horses suffer more than the people. It’s a fascinating tale, but it really isn’t for the faint hearted or weak-stomached. Without wider knowledge of other accounts it is somewhat difficult to judge, but Zamoyski does seem to succeed in providing a balanced telling. Indeed, it is clear that he favours no side and forensically details the calamitous decisions, heroic actions and atrocities committed by the French and her allies and the Russians. It is perhaps a little over-long and dense, but overall, an interesting and detailed account of a key event in nineteenth century Europe. Peter Grant is a probationary constable in the Metropolitan police. While he wants to become a detective, he’s destined for a career managing paperwork until he’s called to guard the scene of a beheading. While his colleague, the perky WPC Leslie May seeks out coffee, and he’s trying to shelter from the rain he takes a witness statement from what seems is a ghost. He heads back the following night to see whether he can find out more and meets Chief Inspector Thomas Nightingale. Nightingale heads up a secret unit that polices supernatural phenomenon. He offers to take on Grant as an apprentice and to train him in the magical arts of dealing with London’s darker side. The job has its obvious attractions but also many dangers, including a homicidal maniac seeking to take revenge two hundred years after he himself was murdered, and trying to negotiate a truce between the god and goddess of the Thames. There’s an awful lot to learn and not much time, but the risk of a premature death is better than a lifetime filling out paperwork. Rivers of London is a police procedural meets urban fantasy tale set in contemporary London. It follows the induction of probationary constable Peter Grant into a secret unit within the Metropolitan Police that investigates supernatural events and crimes within the city, and his attempts to negotiate a truce between the warring factions of the god and goddess of the Thames and to halt the murderous actions of a homicidal spirit. Grant – the son of a mother from Sierra Leone and white jazz player - has an interest in science, but didn’t achieve the grades necessary for University, and instead joined the police force where he seems destined for low-level administration. Instead, after a chance encounter with a ghost and Thomas Nightingale, the Mets resident wizard, he’s become the sorcerer’s apprentice – a role he’s not entirely suitable for, but is willing to try, especially if it’ll impress his good looking colleague, Leslie May. Those three characters provide an interesting set of leads and there is a good, cosmopolitan cast. Other strengths of the story are its dark humour, the snippets of history and geography, and the everydayness of the magic and mythical characters. The tale starts well, with a nice setup, but the story wanes a little in the middle before picking back-up, and Grant's teenage persona trapped in an adult's body gets a little wearing at times. Overall, an enjoyable start to the series and I plan to read the next book, Moon Over Soho. Last week was one of endless meetings. Beside those I had two papers published. The first I was delighted with as it was in Philosophical Transactions. My review this week was of The Age of Wonder and many of the scientists discussed in the book, such as Banks, Davy, and Herschel, published their seminal papers in the journal. Other famous contributors include Newton, Darwin, Franklin, Somerville, Faraday, Boole, Turing, and Hawking. My contribution is 'The ethics of smart cities and urban science' in a special issue on ‘The ethical impact of data science’. 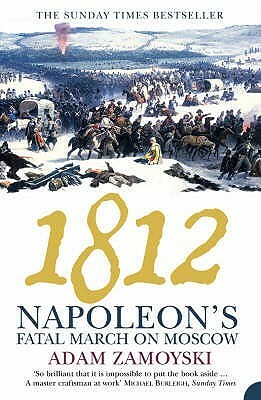 I'm now deep into another popular history book, set at the same time as The Age of Wonder, but concerning Napolean's invasion of Russia in 1812. ‘I’m just a bit part in her life,’ John complained. 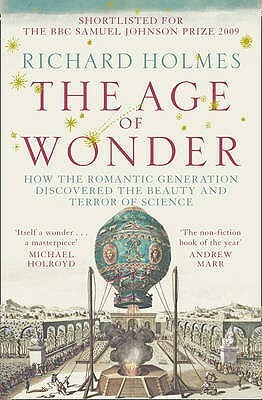 There are a couple of different ways to explore the development of science in the Romantic period (the end of the eighteenth and beginning of nineteenth century). One is to do a broad survey, charting developments in thought across different domains and contextualising these within a general social and political frame, or to focus on a single domain as an exemplar. Or one could detail the biography of a key individual or institution, or detail the interwoven biographies of a number of key personalities. In The Age of Wonder, Richard Holmes mixes all these approaches together to provide a portrait of scientific development in Britain from 1768 to roughly 1840. In the main, the book pivots around three central characters, botanist Joseph Banks, astronomer William Herschel and chemist Humphrey Davy. On the one hand, this focus provides some in-depth discussion of their personal lives and their professional and political work, and their interactions with each other and their collaborators. Especially fascinating was the interactions between these scientists and literary figures and the way in which science and the arts were intertwined. On the other, it provides a relatively narrow focus on the work of particular individuals. As a result, rather than getting a broad picture of developments in chemistry over a 50-60 year period in Britain and elsewhere, one is presented with the work of Davy and little else. That is fine, except occasionally Holmes does provide a broader view, for example providing a quite detailed overview of ballooning that charts various developments by pioneers in both Britain and France, and setting out a broad sweep of the development of science in Britain from the mid-1820s onwards. In addition, the chapter about Mungo Park was like an orphan child; Park was an adventurer to Africa rather than a great scientist and his two trips added little to science. And the material is quite selective. For example, in detailing Banks’ trip to the Pacific, Holmes concentrates exclusively on his time in Tahiti and largely ignores the reason for the trip, the transit of Venus, which was a significant international scientific endeavour. Moreover, the industrial revolution that was unfolding at the same time, with significant advances in engineering and manufacturing is all but absent except for a discussion of the development of the Davy lamp. The result is a fascinating but uneven read that is often drawn-out. For the second weekend in a row I've bought a handful of books to help replenish the to-be-read pile. This time I bought three more popular history books and three novels. 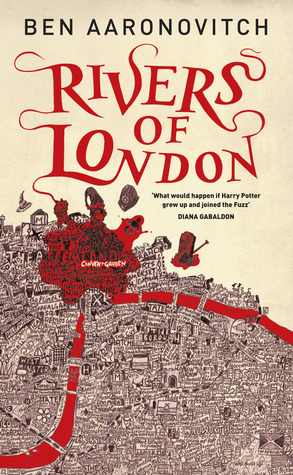 The latter are City of Thieves by David Benioff, Pavel and I by Dan Vyleta, and Rivers of London by Ben Aaronovitch. I've already made a start on the latter. Hopefully the two sets will get me to the New Year. ‘Do you believe in fate, Stevens?’ Gaffney said, walking around the laboratory table. 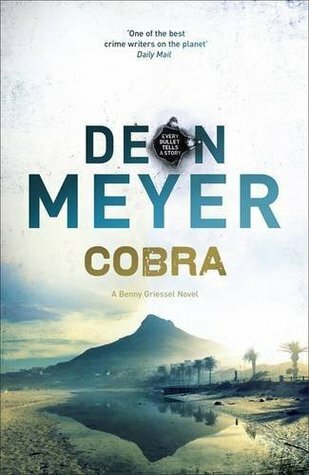 Detective Benny Griessel is called to a kidnapping scene on a wine estate just outside Cape Town in which two bodyguards and an estate worker have been murdered – each shot with a bullet engraved with a cobra. It seems the victim is a recently arrived British citizen who was prepared to pay handsomely for protection. The British consulate confirm the passport is a fake, but will say little else; Interpol reveals that the kidnap is probably the work of an elusive hitman named ‘the Cobra’; and the South African secret service wants to muscle the case away from the cops. Meantime, a pickpocket is working a shopping mall, trying to gather enough cash to pay for his sister’s university tuition. Only he picks the wrong victim and suddenly there’s more dead bodies, and more bullets with cobra engravings. Ordered to pass the case over, Griessel and his team decide to keep investigating sensing that there is more to the demand than law and order. Still possessing the lifted wallet, the pickpocket is also being drawn into a deadly game. Cobra is the fourth novel in the Benny Griessel series. Like its predecessors, it’s a fairly high octane police procedural thriller, with a strong sense of place and nicely penned characters. Griessel, along with his feisty female colleague, Captain Mbali Kaleni, are once again the stars of the show, along with Tyrone Kleinbooi, a pickpocket trying to pay his sister’s way through university. In this outing, Benny should be happy, now off the booze for some time and having moved in with new love, Alexa. But his sense of inadequacy with Alexa and the job is giving him the blues. The kidnapping of a British citizen and the death of two bodyguards and a wine estate worker provides an welcome distraction. When higher authorities try to push Griessel and his team to one side, it’s clear that they’ve started to investigate a case with international connections and local connotations. For Kaleni, the case gives the strong whiff of corruption from the Apartheid era and she’s not prepared to be sidelined. Tyrone is a pickpocket with a code who has chosen the wrong bag to lift a wallet. The plot is pretty linear as Griessel, Kaleni and co try to track down the hitman, ‘the Cobra’, and Tyrone tries to negotiate a swap of the wallet for his sister. However, Meyer skilfully swaps the narrative back-and-forth between the cops and Tyrone, providing a storyline that races along and was certainly difficult to put down. However, the tale runs out of steam a little towards the end and halts quite abruptly, which was a bit of a shame. Nonetheless, an entertaining read and I’m looking forward to the next instalment. On a wet and windy night in the Yorkshire town of Gunnarshaw the body of Jane Trundle is found in the passageway next to the town hall, her purse full of money. A good looking girl who worked in the local chemist’s shop, Jane had ambitions to climb her way out of the poverty of her parents, who live in an area of tightly packed, back-to-back terraced houses. Attention focuses on Carter, a young man who idolised Jane, who was seen with her earlier that night. While Inspector Mole feels it’s an open and shut case, Sergeant Caleb Cluff is not convinced. Instead he focuses his attention on Greensleeve, the chemist, despite the lack of evidence linking him to the death, the man’s position within the community, and his protestations of innocence. Cluff has his own methods and he’s not about to let procedure and protocol get in the way of intuition and passive intimidation. 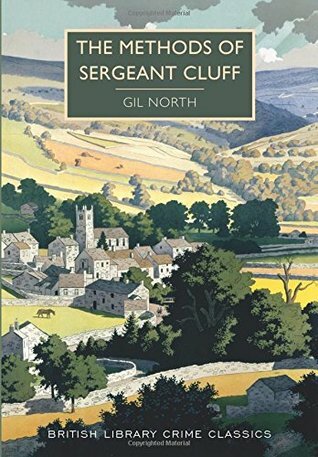 The Methods of Sergeant Cluff is the second book in the Cluff series, presently being re-issued by the British Library. In this outing, Cluff is investigating the death of a good-looking, social climbing chemist’s assistant. While his colleagues suspect a young man who doted on her and was seen in her presence earlier that evening, Cluff is convinced the man is innocent. Instead he focuses his attention on the young woman’s boss. As with the first book, Cluff’s method is to largely ignore his colleagues and to passively intimidate the focus of his attention, hanging around outside the shop, visiting his wife, and searching his premises and making it obvious he has done so, waiting for his quarry to crack under the pressure. The problem is that the chemist insists he is innocent of the murder, though he’s clearly got something to hide. The characterisation is excellent: Cluff is very much his own man, a stoic loner who ploughs his own furrow, Barker is a local constable who has a soft spot for his distant sergeant, Inspector Mole is an officious outsider who’s fond of the easy path, and Greensleeve is a self-important man with connections. North has them talk past and ignore each other, with some nicely observed social interactions. The plot unfolds in a somewhat linear fashion, though the tale rises in tension and there’s a couple of twists at the end. Overall, an enjoyable police procedural. I've usually got 3 to 5 unread books within an arm's distance, so when I finish one book I can pick up another. However, I was down to my last book yesterday, so was thankful that an order had turned up at the local bookshop. I've now added Jason Hewitt's Devastation Road, Joseph Wambaugh's The Choirboys, Jane Thynne's Black Roses, Mark Douglas-Home's The Malice of Waves and Adam Zamoyski's 1812 to my to-be-read pile. I'm particularly looking forward to reading the latter having visited the Borodino panorama in Moscow recently that depicts that battle in an enormous 360 degree painting. ‘What?’ Law glanced left at the old man. Law glanced at the screen and turned his attention back his pint. Ambrose Chitterwick is taking afternoon tea in the Piccadilly Palace Hotel when his attention is attracted to an old lady arguing with a man. He’s called to a telephone and when he returns the man has gone and the woman is dead. It appears Miss Sinclair has committed suicide, but Chitterwick witnessed the man’s hand hovering over her tea cup as he distracted her. When the man reappears for what he says is a scheduled meeting he’s arrested by Chief Inspector Moresby of Scotland Yard. Further analysis reveals that the woman died from Prussic acid poisoning. As far as Moresby is concerned Major Sinclair killed the old lady to obtain her fortune before she changed her will once she’d realised he’d married against her wishes. At the request of the Major’s wife and influential friends Chitterwick agrees to keep an open mind and to re-consider his evidence by investigating the circumstances of the death more thoroughly. He quickly comes to doubt his original conclusion, but if the Major is not the murderer, who is? Anthony Berkeley was a journalist and crime writer and one of the founders of The Detection Club. 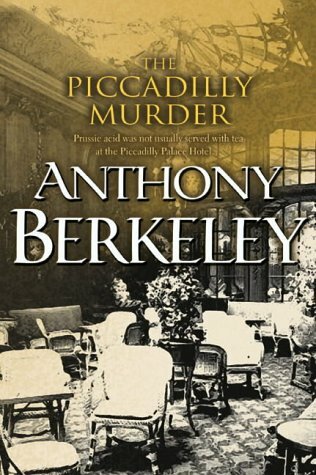 The Piccadilly Murder was published in 1929 and was the first of two books to feature amateur sleuth, Mr Ambrose Chitterwick. Chitterwick is a man of means who lives with his over-bearing aunt who hen pecks him. He has impeccable manners, always acts formally, and wants to do the right thing. On witnessing the death of an elderly lady in the Piccadilly Palace Hotel, and sure he saw the man with her add something to her cup, he volunteers his information to the police. They quickly apprehend her nephew, Major Sinclair, who fits the description of the man dining with her. When a duke and his sister ask Chitterwick to come and stay he feels obliged to do so, though he knows that they are going to ask him to consider his evidence. They persuade him to at least re-examine the death, which Chitterwick does, somewhat to the bemusement of the police, who seem to tolerate his interference due to his social standing. Berkeley has a nice eye for detail and his dialogue is nicely done with Chitterwick barely able to end any sentence. In a way the plot is a form of locked room mystery, though conducted in plain sight in the middle of a busy tea room. While the mystery has Chitterwick and everyone else confused, the identity of the murderer seems fairly obvious to the reader. However, Berkeley does reveal a dramatic twist at the denouement, though it wasn’t really that convincing. Overall, an enjoyable amateur sleuth procedural tale from the Golden Age. April 1945. Russian troops are nearing the centre of Berlin. As the Third Reich nears collapse its leaders start to plot their escape, including Adolf Hitler. When the Russian’s reach the German leader’s bunker they discover two burnt bodies, one of which appears to be Hitler, with similar dental work but missing finger tips. While the world is told Hitler is dead, there is some doubt as to whether this is the case. At the same time, T-Force officer, Peter Birkett, is making his way from Brussels to Kiel, keeping up with or running ahead of frontline troops in order to secure valuable scientific sites and scientists. His Russian counterparts are doing the same, including Elizaveta Terisova, a Volga German who has managed to survive Stalin’s purges. They are particularly keen to track down refined Uranium for use in developing atomic bombs. Both parties are converging on a coal field, each determined to secure the area’s assets for themselves not realising there’s a potentially greater prize hiding in one of the mine shafts. I received a free copy of the book from its publicist in return for an honest review. 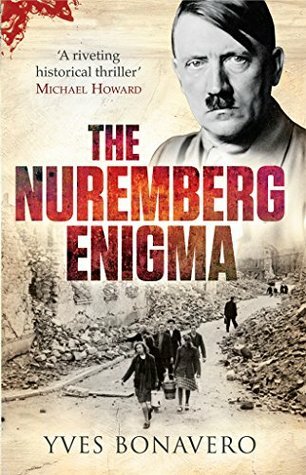 The Nuremberg Enigma takes two storylines – one an alternative history concerning the death of Hitler and the other a factional account of a T-Force officer – and merges them together. Since I read a lot of fiction set between 1930 and 1960 and military history of the Second World War (including recently a book on T-Force) the story seemed an ideal fit for my reading tastes. The story starts quite promisingly, with a nicely written opening section set in centre of Berlin in the dying days of the Second World War, setting up a scenario where Hitler potentially survives the final onslaught. The story then shifts register and voice – swapping to first person - to follow the exploits of Peter Birkett, a young British officer in T-Force, a specialist group that seeks to move forward with the troops to secure scientific sites. This is interspersed with a third-person telling of the similar exploits of a young Russian intelligence officer of German extract. There’s an imbalance in the telling of the back stories of these two characters, with much greater description of Elizaveta’s personal history. Personally, I think the telling would have worked better if the whole story had been told in the third person. Moreover, the emotional register of the story is uneven with, for example, a key death barely registering on one of the central characters. More problematic, however, is the believability of the alternative history of Hitler thread which, while nicely set up, lacked substance and credibility and often made little sense. And the thread leads to one of the most ridiculous endings I’ve read in quite some time (which is difficult to discuss without giving spoilers). Overall then, while the story is interesting and has plenty of action it is somewhat uneven in its telling and plot and ultimately wasn’t convincing.